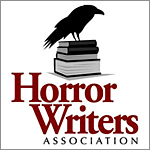 Tonight we have a special treat – four authors converge to read their favorite dark tales. Sit back, turn down your lights and prepare to be spooked. The authors reading are Bracken MacLeod, Angella Jacob, Sarah Butland and your hostess, Angela Yuriko Smith. See links to their work in the comments section below. Thank you to The Eyes for Editing for sponsoring this show, and thank you to Kyra Cato for editing a bunch of sound bytes into an amazing show. For future shows, check the schedule. This entry was posted in Journal Jabber Night, Writing Life and tagged angela yuriko smith, Angella Jacob, Bracken Macleod, Halloween Special 2013, Sarah Butland. Bookmark the permalink.